Again this year the AFJ will post the “Farriers Spotlight,” an online compilation of farrier tributes submitted from horse owners across the industry. 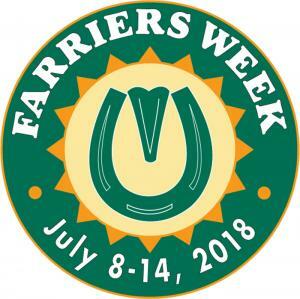 From April until July 1, the AFJ encouraged horse owners, grooms, trainers, etc., to submit pictures and videos of their farrier working with horses, and to share why they appreciate their farrier. 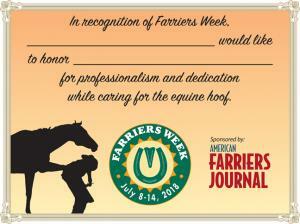 For farriers making a difference in the industry, the AFJ encouraged them to tell about a mentor who has been meaningful in their careers. Farriers could also share a unique story of how they helped improve a horse’s life. To see the Farriers Spotlights, visit americanfarriers.com/spotlight. 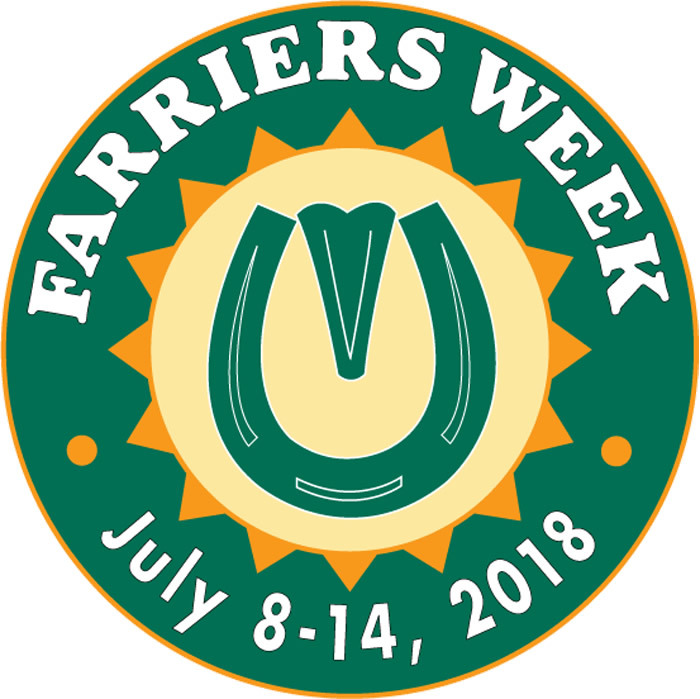 The Mid-South Horse Review is proud to help celebrate National Farriers Week and gives tribute to all the hard-working farriers in the area. S-A-L-U-T-E!